1) I left a workshop with an easy-to-recall, useful takeaway concept. 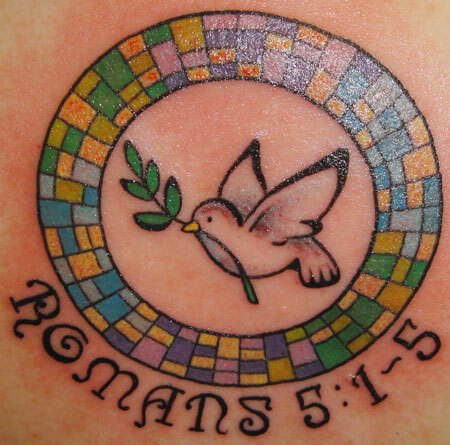 2) The words “get a tattoo” were uttered at my mother-in-law’s Catholic church. 3) Number One and Number Two are related. Those three actions are what he told us to “tattoo” on ourselves. Although he repeatedly joked that he didn’t literally mean for us to get tattoos, every time the word “tattoo” came up, the three-part approach was reinforced in my mind. And, honestly, when I really thought about the process of getting a tattoo (not that I know from personal experience), it made perfect sense to me to use “tattoos” as a metaphor. For one thing, most people I know who have gotten tattoos have thought long and hard about what image they want representing them. Especially if they are only going to get one tattoo ever, it’s a big decision. It requires awareness of who the person is at the moment, and some awareness of what the individual foresees in their future. Getting a tattoo also requires an understanding of what the image will convey to those who see it, and the physical effects on the recipient. Lastly, taking action is probably, for the person receiving the tattoo, a mixture of anxiety at taking the risk and enduring the pain, and satisfaction at seeing a decision-making process come to closure. I deleted the Bible verse from the original and added a simple “a-u-a.” The first “a” for awareness, the “u” for understanding, and the second “a” for action. I don’t think any of our local tattoo parlors are going to be flooded with the good ladies of Blessed Sacrament and other local Catholic churches, seeking “a-u-a” tattoos. But the longer I look at it, the more I think, “that actually could make a nice suncatcher”! The blessing of the workshop is that it’s easy to remember “a-u-a” even if I don’t have a physical reminder. This entry was posted in Blessed Sacrament Catholic Church, Fr. 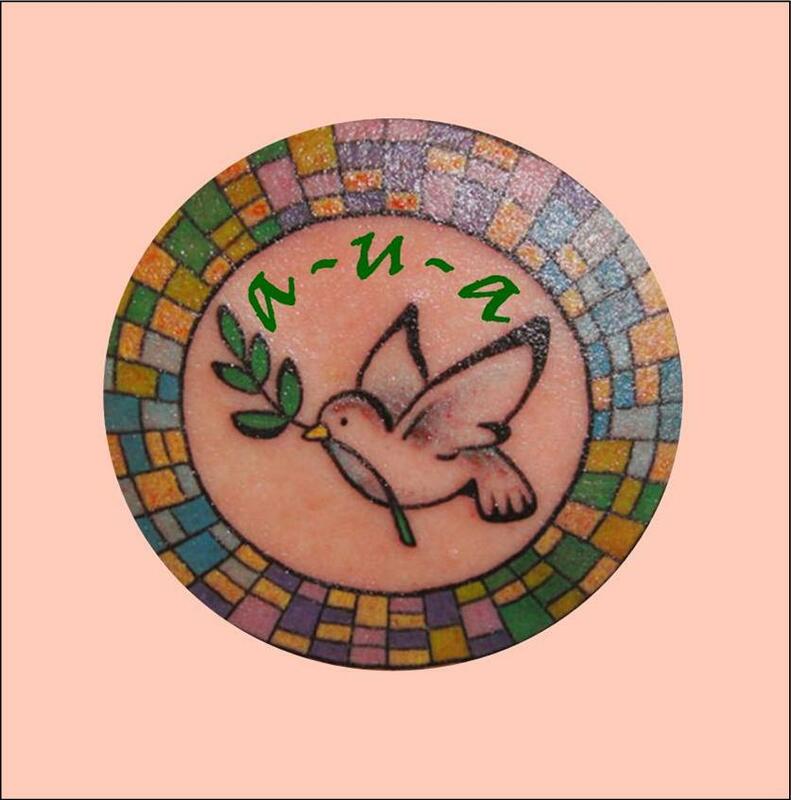 Tim Gallagher, Religious Tattoos, Spiritual Discernment by Paula Kiger. Bookmark the permalink. Hi nice post, who would've thunk it? Hey, when ya gettin' that tattoo? Let me know and I'll come hold your hand. Ha ha! As the proud owner of 3 tattoos (and more to come) and I can vouch for the importance of them having a personal meaning to the owner. I've always thought long and hard about each of my tattoos before getting them. I love what you got out of that church session!